The Garmin Forerunner 235 is far from designed for swimming; it is instead a mid-level GPS running watch, best used for running and cycling. However, almost all new fitness watches are waterproof, usually between 30-50m. The Forerunner 235 is rated up to a depth of 50m. This means that it is perfectly protected to be used when swimming, or any other water based activity. 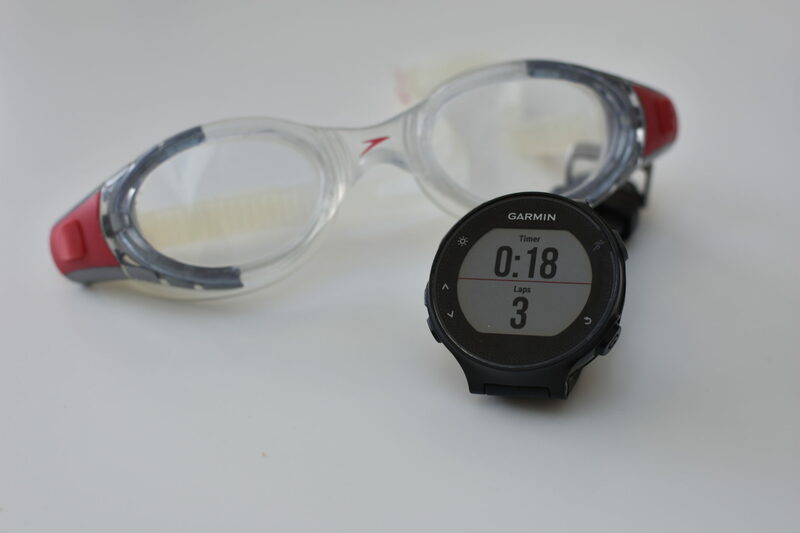 Here I look at how well the Garmin Forerunner 235 is suited to swimming. I have also previously tried out the Garmin Vivosmart when swimming, the results for this you can see here. The Garmin Forerunner 235 has no specific ‘Swim’ sport mode. Other swimming orientated watches have a specific sport mode which will track more detailed swim metrics such as stroke rate and efficiency. These are available on Garmin’s other watches like the Garmin Swim and fenix 5 below. When swimming in open water, the watch can use the GPS capabilities and track your distance. However, most likely, you will be swimming indoors in a lapped pool, therefore the GPS function will not work. With no ‘Swim’ sport mode, the best way to record swimming on the Forerunner 235 is with the ‘Other’ sport mode. This can be used for any type of activity and can record all metrics offered on the Forerunner 235 including Heart Rate and GPS tracking. Firstly, make sure that GPS is turned to off. 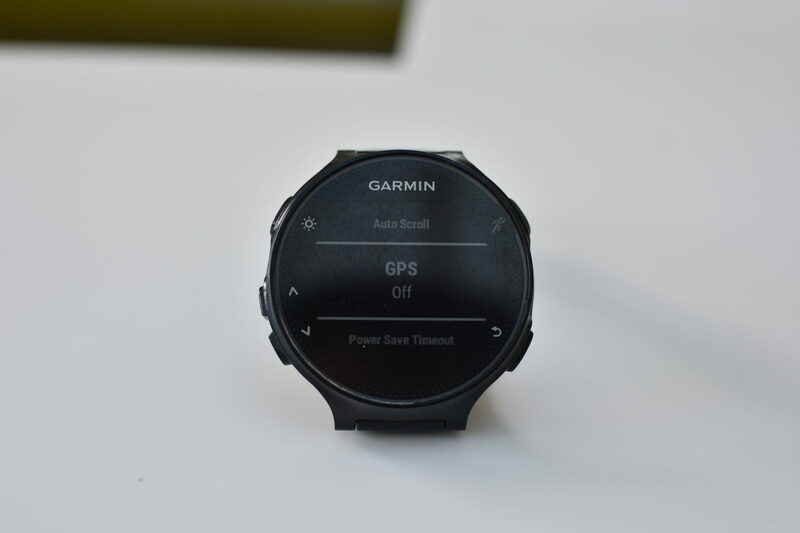 This will ensure that the watch doesn’t try tracking your activity – although it is unlikely the watch will connect to GPS from indoors. Next, I find it useful to have specific data screens available for swimming. The two best metrics that I like to be able to see whilst swimming are cumulative time and the number of laps. You can set these two data fields to be on individual screens or have both on the same screen. Whilst the watch is unable to detect when you have completed a lap in the pool – other watches like the TomTom Spark 3 do this which I tested here – you can press the bottom-right button to create your own lap. This is not the easiest manoeuvre as you have to break your stroke pattern to reach to your opposite wrist, however it doesn’t cause too many problems. This is why I find it useful to have a data screen displaying the total number of laps for the activity. The number of laps is representative of the total number of lengths completed. The watch will also display the lap (length) time once the lap button is pressed. This also means that by knowing the length of the pool, the total elapsed distance can be easily calculated by multiplying the number of laps by the length of the pool. 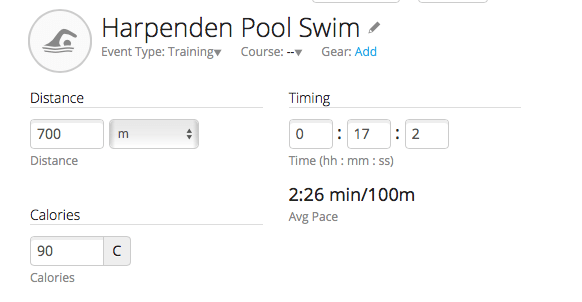 Other Garmin watches not only have a ‘Pool Swim’ swimming feature, but also an “Open Water Swim’ swimming option. The watches which track open water swimming use a combination of data collected from an internal accelerometer and GPS tracking. This helps combat the common issue of GPS drop-outs caused from the watch being submerged, an issue evident on the Garmin Forerunner 235. When swimming in open water, it is still best to use the ‘Other’ sport mode, but ensure that the GPS is turned on, unlike with pool swimming. When using the Forerunner 235 for open water swimming – or any other waterproofed GPS enabled watch for that matter – the main issue seen is inaccurate distances recorded. 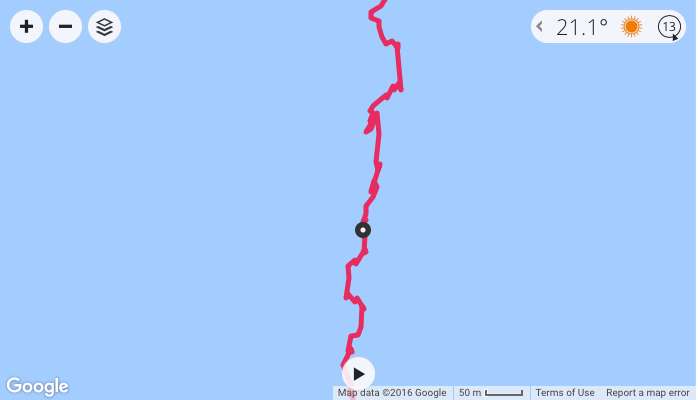 As can be seen from this open-water track from swimming with the Forerunner 235, the route tracked is very zig-zagged in nature, creating an inaccurate distance track. This poor GPS accuracy when swimming is not due to the type of GPS hardware system (this is the same in all running and triathlon watches), but it is in fact a software based issue. Garmin encode special algorithms into the software of their triathlon and swim watches for open water swimming. These algorithms analyse, detect and correct the constant changes in GPS signal strength whilst the wrist is underwater. Unfortunately these algorithms are not written into the Garmin Forerunner 235 as it is specially designed as a mid-level running watch rather than a high-level triathlon watch. This is understandable from Garmin’s viewpoint as it creates a separation in their product lines, helping to segment the fitness market. 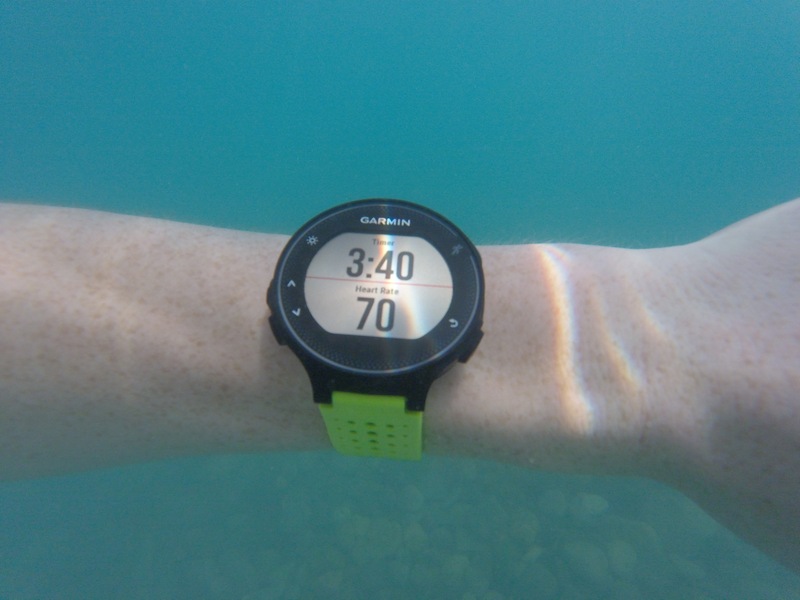 Therefore, with poor open water swimming accuracy the Forerunner 235 does not make for the best swimming companion. However, if this is your watch of choice, you can still make the accuracy for open water swimming better. To try and make the GPS accuracy better, you want to try and raise the watch so that it is constantly out of the water rather than constantly dipping in and out. One way to do this would be to put the Forerunner 235 in the back of your swimming cap (near the top of your neck) so that it is continuously near the surface whilst swimming. This comes with some problems such as not being able to see any activity data in real time, however from personal use, this isn’t too key whilst swimming and also isn’t the easiest to view in mirkier water anyway. Another consideration may also be the watch falling out the back of the cap so make sure it is tightly fitted! Personally, however, I would recommend a safer and overall better option of a swim buoy. Many people swim with these in open water anyway and it is very easy to attach the watch to the buoy. This will again ensure the watch is above water and will give better results. These are not too expensive to buy either through Amazon. Garmin Connect IQ is an app store full of apps that can be downloaded onto your eligible Garmin watch. Without any swimming capabilities on the Garmin Forerunner 235, developers have spotted this gap and made a range of swimming based apps which can work on the Garmin Forerunner 235. One of the most popular swimming apps for the non-swimming Garmin watches is ‘Pool Swim’ by developer danielp27. This app is perfect for pool swimming. This app can be downloaded here. For open water swimming, developer Robs_1976 has a popular app called ‘Swimming App Professional.’ But note this app is still in beta. There are many other swimming Connect IQ apps which are available from the Connect IQ store here. In the upper-right side of the activity page, you also have an edit activity option. This is where you can input the swim data taken from the activity. By referring to the earlier calculation of Distance = Number of Lengths x Length of Pool, you can input the total distance for the swim. 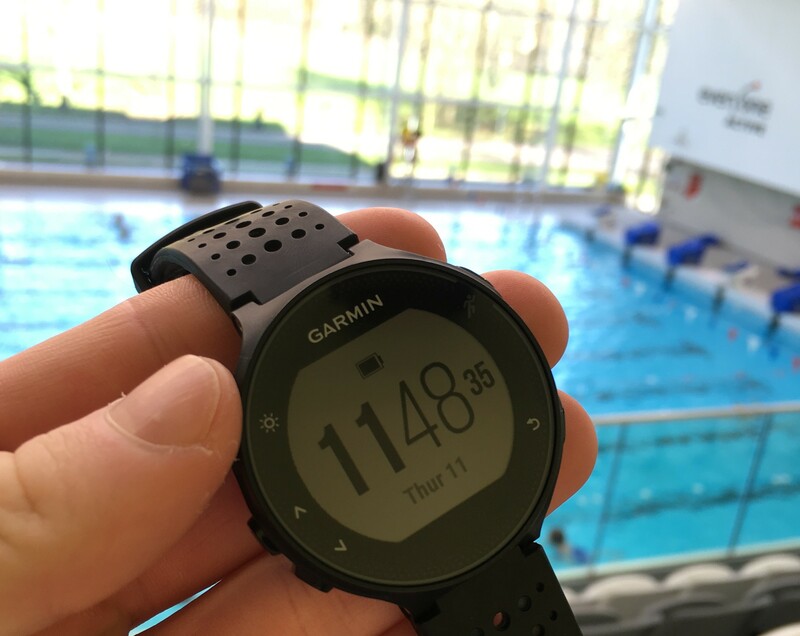 Garmin will then automatically calculate your average pace in min/100m, the standard swimming metric. For swimming in open water where the distance tracked is mostly inaccurate but not always too far adrift; you have the edit option for this too. Just click on edit activity when in Garmin Connect and the distance can be correctly altered to the known distance. Knowing the correct distance swam is not always easy as veering off course whilst swimming is an often result. However, if competing in a triathlon (Olympic swim distance is 1500m) you would know your distance exactly. Another option would be to track the route you roughly swam via MapMyRun.com and then add this distance in manually afterwards. Lastly, the Garmin Forerunner 235 introduced a wrist based heart rate monitor meaning the need to wear a chest strap is no longer a necessity for heart rate data. In some fitness watches with both an in-built swim mode and an optical heart rate sensor, the heart rate data is switched off whilst swimming. This is due to poor accuracy as water can often interfere with the sensor and so lead to false readings. For the Forerunner 235, no such switching off of the heart rate sensor occurs. This means that you are able to record heart rate data for swimming. Having tested out this feature, I can say that the results are not too bad but not something to go off with absolute certainty. The heart rate readings seemed to steadily increase over time, in line with the increase in effort from swimming. However, the data was most likely an underestimate of the actual heart rate data as seen from this particular 35 minute swim where the average heart rate was 104 BPM. With this accuracy in mind, Garmin have released a set of new heart rate monitors. There are two new heart rate monitors available, one is called the ‘HRM-Swim‘ and is designed specifically for swimming. The other heart rate monitor is a more advanced ‘HRM-Tri‘ designed to be compatible in and out of the water. Both off these heart rate monitors are compatible with any Garmin ANT+ watch, including the Forerunner 235. Both of these heart rate monitors can be purchased on Amazon or in a bundle together. If you are someone who is keen on heart rate training then I would certainly recommend these to ensure a higher level of accuracy when swimming. Despite the Garmin Forerunner 235 not being designed for swimming, I have been able to show that it meets most requirements of an recreational or amateur swimming. The results are probably best and most accurate in pool swimming as the distance which you are swimming is know, however heart rate accuracy is not going to be exact. Open water swimming is also clearly possible but you will be foregoing the tracking accuracy as well as the heart rate accuracy. However, there are good alternatives for the GPS tracking with the use of a buoy. But given the waterproofing of the Forerunner 235, it is a more than good enough option for the casual swimming who occasionally swims alongside their running and cycling, making the Garmin Forerunner 235 an ideal all-round watch! Feel free to ask any questions – thanks for reading! You can buy the Garmin Forerunner 235 below to help support this site. Exactly what I wanted to know! Thanks! Taking my 235 into the pool shortly for a test run. r u using a bult 4 hurt beating or not? The article really helps me. Feel satisfied with the watch. Thank you. Thanks for this – gave me exactly the info I was hoping to find! I use the Garmin 235 for outdoor swimming because I found this article. It’s a shame it does not work correctly, or is it just mine? other than that it works great and very pleased with it. I found the same thing… swam to a 1/2 mile buoy and it recorded .9 miles… but the time was right so I know I didn’t zig zag that much! Has any found the chlorine fades the face and strap. Found this happened with a previous watch. I haven’t found this to happen just yet although I haven’t done too much pool swimming. I also now use the bright yellow band so any fading wouldn’t be as obvious. I will post an updated post on this soon after I have more data from open water swimming. I’m using the 235 for 6 months now,for running, cycling and recently swimming. It s perfect for running and cycling with accurate data. Unfortunately for the open water the distances despite the GPS are far from accurate. It constantly adds about 500 meters every 1000 meters which is strange because in land is ok. I wonder if the arm stroke is what adds the meters on. Maybe try strapping it on your bathing suit or ankle and see if that makes a difference. Could it be because of bobbing up and down making adding to the distance? Thank You great article. I tried to use the same method you mentioned in a swimming pool open. At the end each lap indicated weird distance as expected due to the gps. I am unable to adjust the distance of each lap back to 50m in the garmin connect. Or is this possible? Or I have not pre-set the other activities correctly. In Garmin Connect you cannot alter specific lap distances, however, you can manually adjust the total distance/time of an activity. 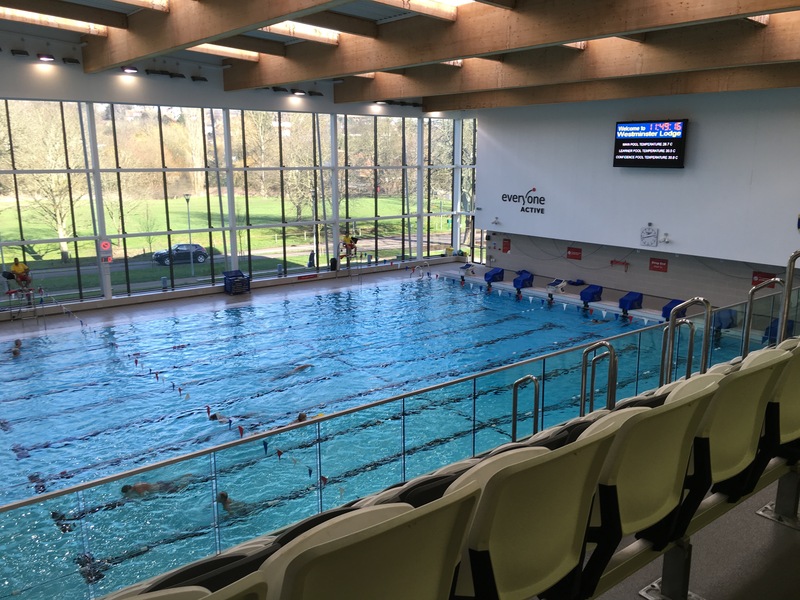 Therefore, as you are in a 50m lapped pool you know your individual lap distance (despite it not being displayed in Connect) along with each lap time, giving you a total time and distance which you can calculate and add on after. You can preset any activity to show different data fields or create a specific workout in Connect and then send it to your device. This is useful for timed intervals, but again will not work for indoor use for distances. I hope this has been helpful and don’t hesitate to ask if there are more questions. Turn GPS off in the “other” mode and use the lap count times the pool length to get distance and add that at edit. 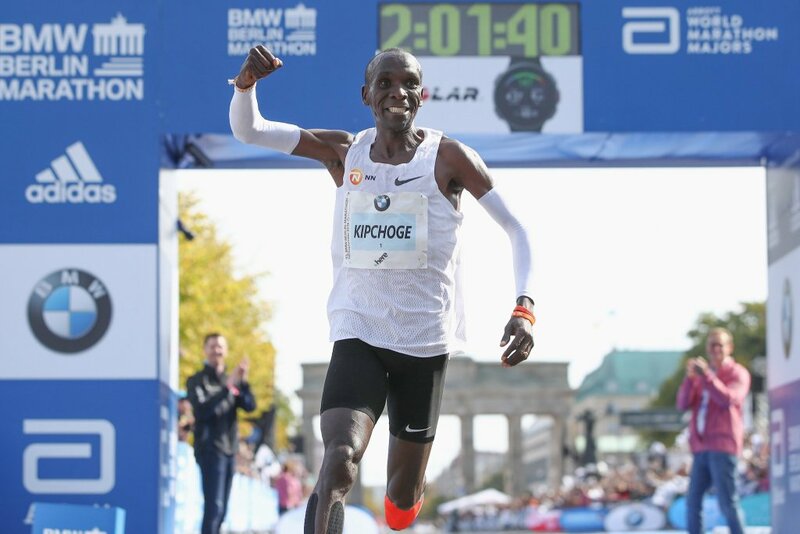 Good estimate of time, distance, and hence pace. I read this article in hopes that it was just my watch, but unfortunately I have to agree with the other comments about inaccurate open water tracking…it’s pretty bad. Just did a 1200M swim and my FR235 read 1.43 miles (2300M). Cycling (with the cadence and speed sensors) and running has been great though. I use Forerunner 235 with application swimming prof. the Garmin store. The styles breaststroke swim, so I hand still under water. Therefore I give them to swimming goggles. So they do not measure heart rate, but the exact distance by GPS. But I would like to know whether the pair the watch with chest belt for swimming. Only to measure the pulse. Tri-HRM and HRM-swim. You do not have experience with it? Yes, you are able to connect the FR325 to the Garmin HRM-Swim to measure heart rate when swimming. However, I do not have experience of this, but the consensus is that this is an effective way of measuring heart rate in water. The problem that you – as with many others – are seeing with the recorded zig-zagging route and inaccurate distances is not due to the type of GPS hardware system (this is the same in all running and triathlon watches), but it is in fact a software based issue. Garmin encode special algorithms for their triathlon watches for open water swimming where there are constant changes in GPS signal strength whilst the wrist is underwater. Therefore, these algorithms are capable of analysing and correcting for this when open water swimming. This however is not written into the running specific (Forerunner 235) watches as they are not designed to be swam with. 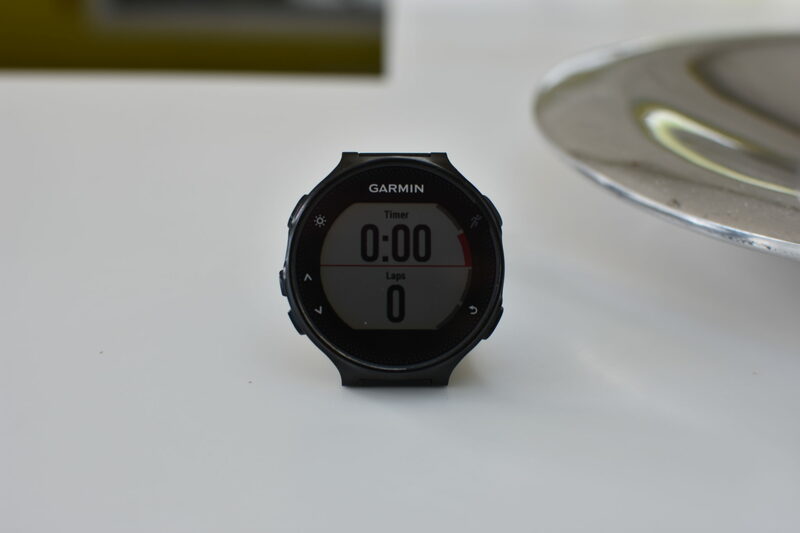 This is a shame as it makes the 235 not the best watch for swimming; yet it is understandable from Garmin’s standpoint as it separates their running and triathlon lines with these different capabilities. I hope this answers your question. Comgratulations. Very usefull information. Please, could you help me with a last information? About the pool length. In my case, my pool is 12,6 m (or 12 + 2/3). Can I insert this measure? (Or just aproximate? 12 or 12,5 or 13…for example). If not, the precision will be affected after 1 hour swimming. Understand my question? Thank you very much. Anderson. It is possible to preset the watch to automatically lap after a set distance (in your case 12.6m – although the closest you can get to this is 0.05km). However, when using the match in a pool, you will be unable to connect to GPS to accurately track this. Therefore, what I would recommend is pressing the lap button each time you complete a lap and then afterwards you can edit the distance in Garmin Connect to display 12.6*(No. of laps) giving you your total distance. As the FR235 is not a swim specific watch, it is unable to calculate these laps for you and you will have to do it manually. I hope this answers your question. i have written a ConnectIQ for the FR230, 235 and 630 which implements pool swimming. you might want to take a look. it enables HR too. I’ve been swimming open water over the last summer with my forerunner 230 either in the swimcap or strapped to the lace of the goggles (on the back of my head). The accuracy improves significantly compared to that you get if you wear it on the wrist. You don’t get to check your metrics but I found I could rely on autolaps (set to 250m, the lowest possible) to know the distance I’ve swam. It may not be ideal but it’s good enough for me. Quick question. SO I have actually been afraid to use my forerunner 235 in the pool I don’t know I always think it will get totally messed up. If I purchase the strap will that help with getting data to see how many meters i’ve swam in a specific period of time? this might be a redundant question…(possibly dumb question) but nonetheless I want to know if I should purchase the strap at all. If you’re talking about the heart rate strap, then no, it is not required to view your metrics (other than an accurate HR reading). The additional Heart Rate strap will only provide a more accurate measure of HR when you’re under water – the watch itself will no incur any damage from taking it under water at swimming depths . I use COUNTU Goal as my swimming tracker. I thought it’s the best sports tracker. It can work as timer/lap counter, and the most useful function is vibrate alarm function.